FASTNET ROCK (AUS) (Bay 2001-Stud 2005). 6 wins to 1200m, VRC Lightning S., Gr.1. Champion Aust. Sire twice. Sire of 1620 rnrs, 1148 wnrs, 142 SW, inc. Atlantic Jewel (ATC All Aged S., Gr.1), Shoals, Sea Siren, Fascinating Rock, Zhukova, First Seal, Avantage, Laganore, Planet Rock, Age of Fire, Mosheen, Merchant Navy, Driefontein, Comin' Through, Catchy, Amicus, One Master, Unforgotten, Heroic Valour, Awesome Rock, Atlante, Super Cool, etc. Doctor Zous (g. by Zoustar). Winner at 1200m in 2018-19 in Aust. BUCKINGHAMPSHIRE (Lonhro). 2 wins-1 at 2-at 1000m, R245,575, Kenilworth Summer Juvenile S., L, 2d Kenilworth Racing It's a Rush S.
Cautious (Lonhro). 2 wins. See above. Dio d'Oro. 3 wins at 2, A$246,347, in 2017-18, ATC Living Turf 2YO H., Half Yearly Membership 2YO H., Spring on Sale 2YO H., 2d ATC Australian Fire Hose 2YO P., 3d ATC Tab.com.au 2YO P., 4th ATC Canonbury S., Gr.3. Simply Impeccable. Winner at 1200m in 2017-18 in NZ. STRYKER (Fastnet Rock). 2 wins at 1200m, 1350m, A$373,325, BRC BTC Classic, Gr.3, STC Heritage S., L, 2d STC Rosebud Inglis Bonus H., Blackberry 2YO H., Resmed Asia Pacific 2YO H., 3d AJC Galaxy H., Gr.1, STC Golden Rose S., Gr.1, AJC Challenge S., Gr.2, STC Pago Pago S., Gr.2, 4th STC Todman S., Gr.2, Gold Coast Guineas, Gr.3, AJC Show County H., L. Sire. Exceed and Exalt (Exceed and Excel). 4 wins-1 at 2-at 1200m, 1400m, A$138,705, ATC McGrath Estate Agents ACT Offices H., Grand Pavilion 2YO H., 3d ATC Pago Pago S., Gr.2, JJJ Baldacchino Family H.
Puerto Banus (Encosta de Lago). 6 wins from 1400m to 1600m, A$109,905, SAJC Dominant H., NJC Day in March H., 2d SAJC Chrysler Jeep Dodge 2YO P., Ken Smith AM H., Betfair.com H., 3d SAJC CS Hayes Memorial Cup, L, Allan Scott Park Morphettville H.
Seeking Attention (Exceed and Excel). 5 wins. See above. California Joy. 6 wins from 1400m to 1650m, HK$6,348,575, to 2017-18, HKJC Pollock H., Pak Tam Au H., Sporting Exchange H., Guangzhou H., Kai Yip H., Super Satin H., 2d HKJC Coloane H., California Memory H., Mut Wah H., Chongqing H., Moon Koon H.-twice, 3d HKJC High Island H., Amah Rock H.
California Laestar. Winner at 1000m in 2018-19 in Aust. California Fox. 2 wins at 1100m, 1300m in 2017-18 in Aust. CONSPECTUS - STAR ATTRACTION (Mac.) (Woodman). 8 wins from 1300m to 1800m, A$108,400, M$663,450 in Aust. and Macau, MRC Schweppes Cup, L, Rupert Clark H., Springvale H., Wheatear H.
Planetarium. 5 wins from 1600m to 1900m, A$208,805, ATC McGrath Estate St George H., Ray White H.
Off the Planet. 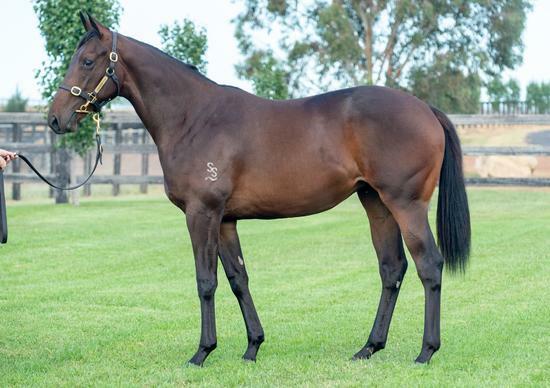 4 wins to 1300m, A$132,493, MRC Zaidee Inspires Discussion H., Desirable H. Producer. Bollywood. 4 wins from 1100m to 2100m, MRC Vengeance H., Always Welcome H.
Laetitia. 3 wins. See above. AMERCEMENT (Lonhro). Winner at 2, A$91,200, in 2018-19, ATC Widden S., Gr.3, 4th ATC Gimcrack S., Gr.3.